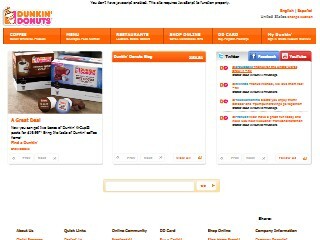 Description: Dunkin' Donuts is a business categorized under doughnuts, which is part of the larger category retail bakeries. Dunkin' Donuts is located at the address 109 East St in Pawtucket, Rhode Island 02860-1213. The Manager is Dorothty Andrade who can be contacted at (401)724-6336.